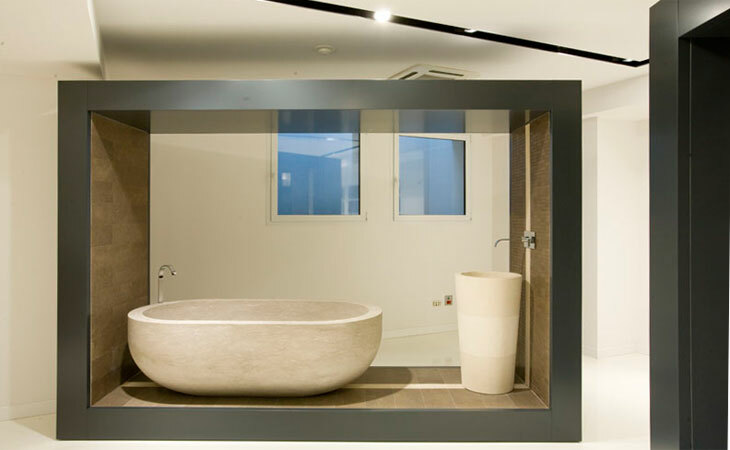 A large glassed case(container), essential and perfect, an open space where a complete range of natural stones is presented exposed to the eyes of whom, entering in Payanini-the stone brand, il looking for contact with the Natural Stone. 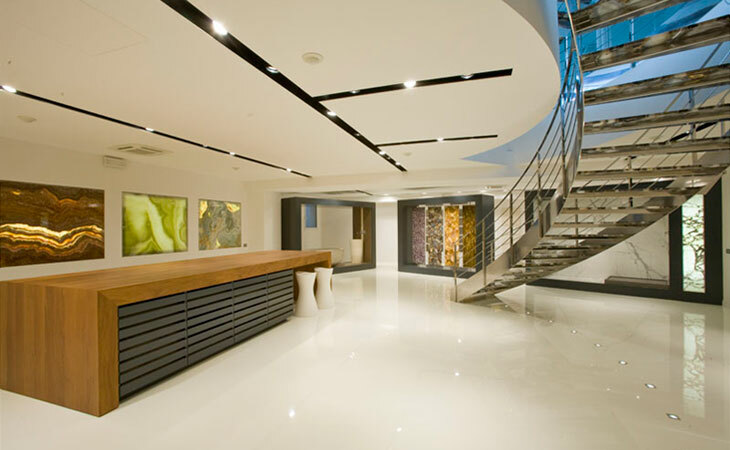 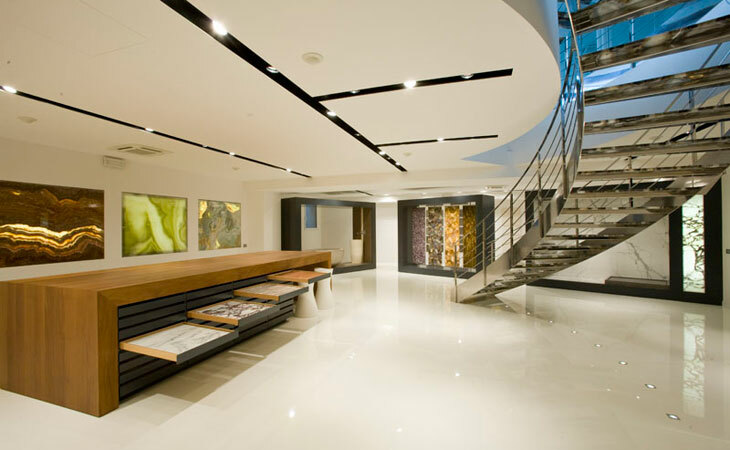 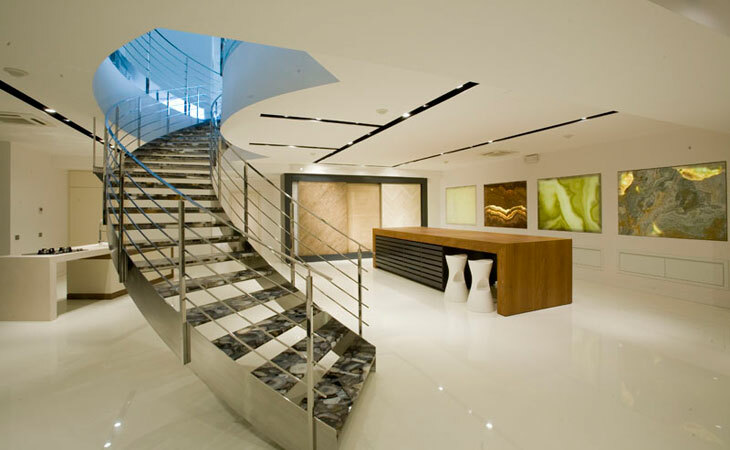 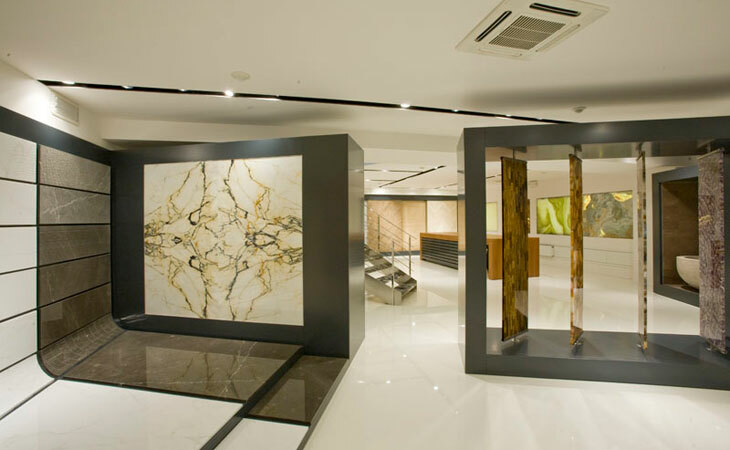 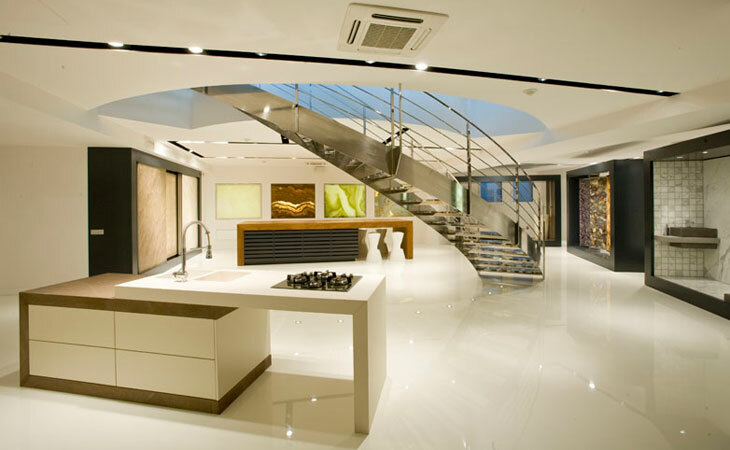 A showroom studied for who needs to choose from Marbles, Granites, Onyx’s, Travertines, Limestones and high quality Semiprecious Stones, and to be able to count on the production of the cut-to-size ready “Just in Time”. 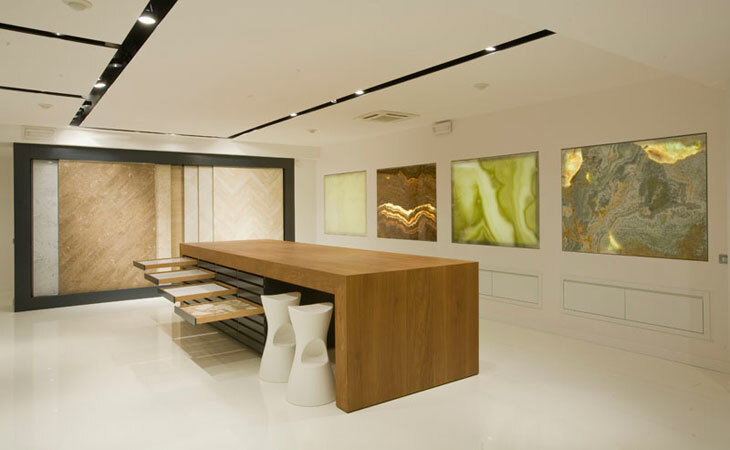 A table of colours, from yellow to beige to black passing by greens, greys and blues, with extraordinary veins and drwaings: marbles, Onyx’s, Granites, Limestones, Semiprecious stones revisited and proposed Brushed, Honed, Flamed or Satin. 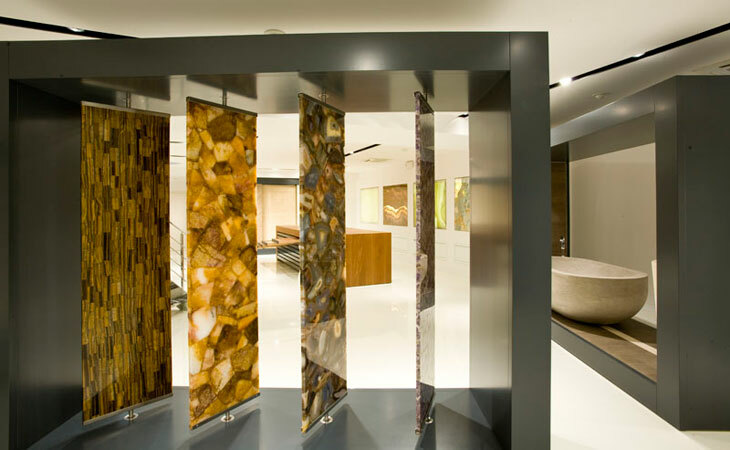 Chosing materials, seeing the finishes, approaching materials matching them with other essences becomes extremely simple entering in the Architectural Space of Payanini-The Stone Brand. 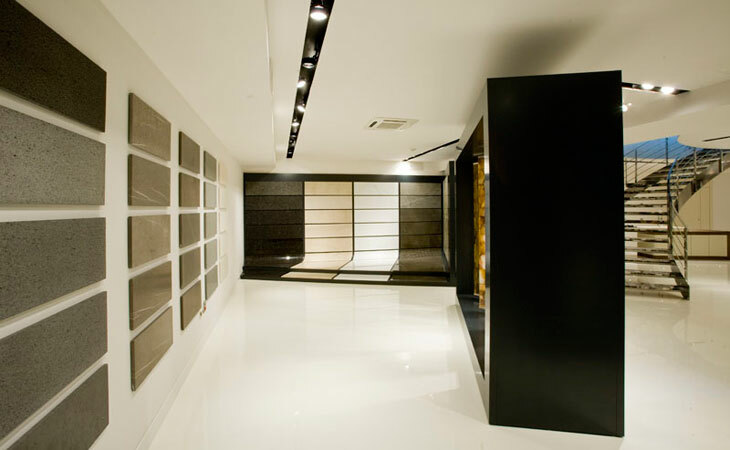 A space where you may search, study and find the most suitable solution counting on the support and advice of the staff of Payanini-The stone Brand.